Learning (and playing) with Ruby these past few weeks I’ve been looking for ways to solve modest, day-to-day Humanities problems. Digital Humanities, after all, doesn’t just have to be about big questions like crowdsourcing, right? Here’s something that’s been making me very happy this week: automated generation of randomized music theory drills. I’m currently teaching an introductory theory course, and especially at the end of the semester the students are hungering for extra drills to prepare for their final exam. Wouldn’t it be great if I had a magic machine that would just pump out an endless number of these worksheets? Well…now I do! 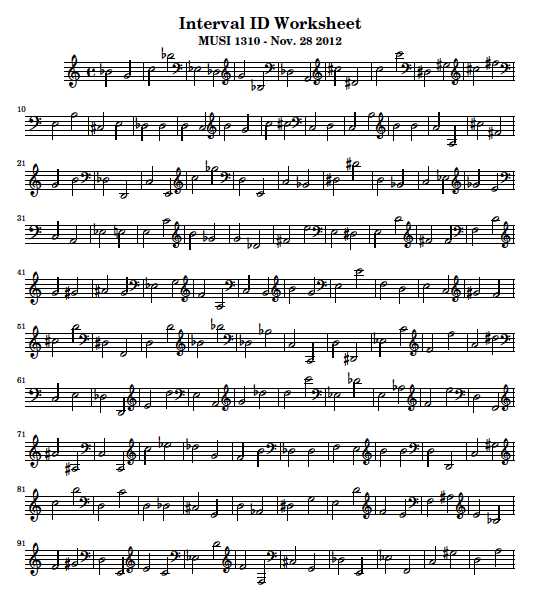 This worksheet was generated with a Ruby script (here’s the source) writing music notation in LilyPond. I also noticed that working out an algorithm for interval identification to generate the key helped me figure out how to better explain this task to the students. Cite this post: Chris Peck. “Music Theory in Ruby”. 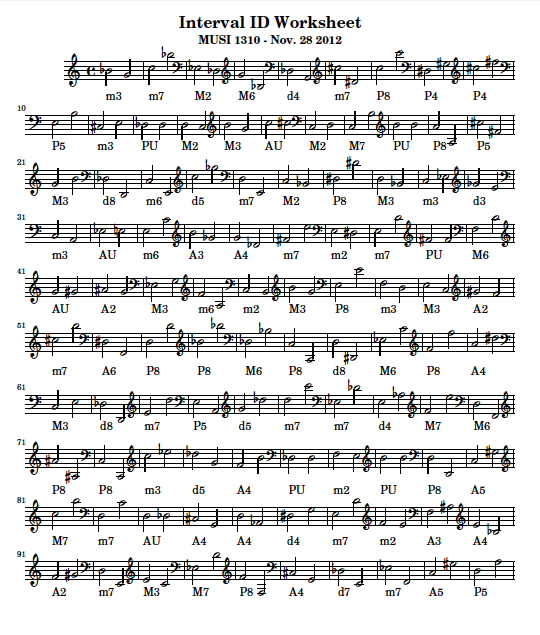 Published December 06, 2012. https://scholarslab.lib.virginia.edu/blog/music-theory-in-ruby/. Accessed on .